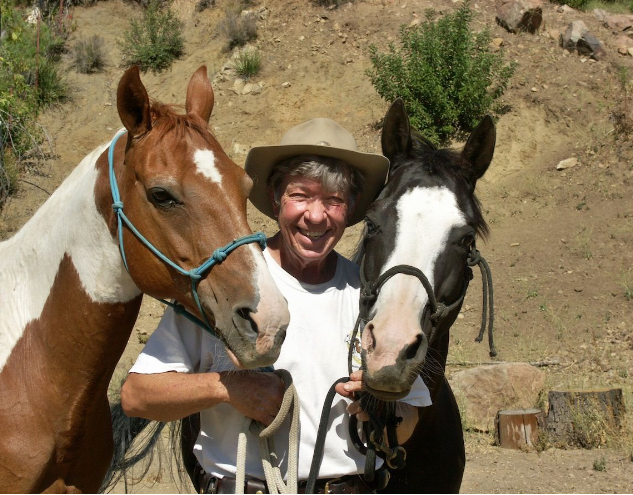 Trail Magic — Colin Dangaard, Inc.
For the horse, the trail is a magical place. This is where he has been for 55 million years. If you think that is a long time, consider that YOU are merely five million years old. But it was not until 5,000 years ago that you decided the ride the horse instead of eat it. What an extraordinary concept: man rides animal. A thousand years from now, this will be considered very bizarre indeed. They’ll write history books about it, in whatever medium they’ll have developed. As an activity, what we call “trail riding” did not exist until the ‘50’s. It is less than 100 years old. Until that time, horses were ridden for work or war or in competition – never simple pleasure. Fox hunting in old England might look like fun, but actually it started out as a military training exercise for cavalry officers. Go back another a thousand years, and it was all work, or war, or training for war. The first “Olympian” riders meeting in ancient Greece were from cavalry of different nations proving they, and their horses, were the best. A subtle signal to nations with plunder on the mind! Although games that become known as “Olympic” are over3,000 years old, equestrian competition did not become formal in what became known as the Olympic Games until 1912. Equestrian events were popular in Ancient Greece, but they were a side show rather than a sport. My family had a cattle “station” in the Australian Outback. When I was a young lad in the ‘50’s, every man seen on a horse was working. If he was not working, and he was riding a horse, he was considered “feral.” To law enforcement, he certainly would have been “a person of interest.” It was extremely rare to see a woman on a horse. For any reason. Two major factors changed all that. Post-war prosperity in developing nations, such as America, and Western movies. It occurred to people who could now afford to own a horse that it would be a whole bunch of fun to gallop around like the Lone Ranger. So “trail riding” was born. This history is important. It shows how far trail riders have come in such a short time. It also pulls back the curtain on what can be done in the future. Our communication with the horse is due for an enormous boost. More on that later. Riding a horse in an arena is a completely different mindset for this animal than being in his “home” on the trail. The arena is not “natural.” Sure, he will jump rails, do fancy steps and whatever else we train him to do because that is what we are asking of him and, ultimately, always, the horse wants to please. That’s part of his inherent deal with man. But first he must understand what we wanthim to do. Right there is the Grand Canyon of man/horse ability. Communication. Or lack thereof. To really enjoy a horse on a trail put yourself in his mindset – think fun! Take that steep hill that causes you to gasp. Jump that big ditch. Rip over that wide-open mesa at flat gallop and forget about gopher holes. He’s not worried about holes. This is what he does NATURALLY. Feel the thump of your own heart. Feel the sheer joy of the horse. He is not worried, so you shouldn’t be either. Then pull him to a complete stop, rub his neck, tell him what a good boy he is, listen to him murmur that wonderful happy sound and look around and listen to the birds. They will sound more clear than ever. Because you’ll be alive, REALLY alive. And the horse will share that feeling. The behavior of the horse perfectly reflects our mood. If you’re afraid, he’s ESPECIALLY afraid. You’re in charge, after all. He has good reason to ask himself what the hell you are getting him into if it scares YOU! If you’re bold, he’s bold. If you’re boring, he’s bored. It’s easy to tell a bored horse. He stumbles a lot. The list goes on. Riding a horse is very much like dancing. There must be rhythm and feeling and passion. Stub HER toe on a dance floor, and she’ll be looking for somebody else to dance with. Rip a horse in the mouth with a steel bit, and he too may well wish he had another partner. Unfortunately for the horse, he has no option. He has to dance anyhow. But he won’t dance well. Trail riding is special because it is the very LAST thing civilized people can do without adult supervision – at least, for now. You can buy a fast car, but there are few places you can really “feel” its power, legally. Same with planes, boats, snowmobiles, motorbikes and anything else man-made. There will always be somebody watching with radar ready to bust you. But you can still, today, saddle a horse in the middle of the night in driving rain and go out in the wilderness and rip the top off a hill and scare yourself half to death and it is perfectly legal. And the horse will love you for it! The key to unlocking trail magic, and all its wonder, is communication, REAL communication.